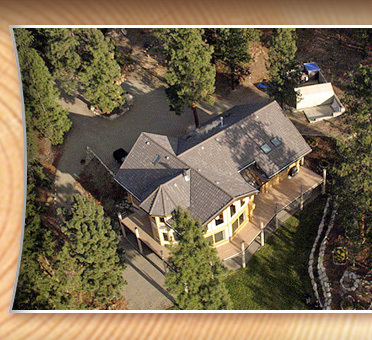 Located in the heart of the Okanagan Valley wine and golf country, our LOG HOME Bed & Breakfast is located on a private and secluded 5.33 acre timbered property, only minutes from downtown Peachland and the beach. Ideally located close to nature and mountain biking trails, skiing, wineries, world class golf courses and fine restaurants. 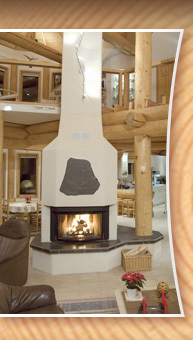 This modern Log Home with over 6200 sq.ft. 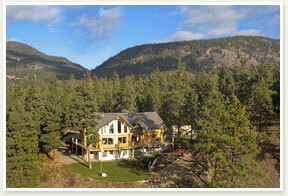 offers sweeping views to Okanagan Lake, the valley and surrounding mountains. With our two modern guest suites and the delicious breakfast, Log Home Bed & Breakfast is sure to make your Canadian holiday a special one to remember. We invite you to come to Peachland and visit us to experience for yourself our "Special Place", you will not be disappointed. Wow! 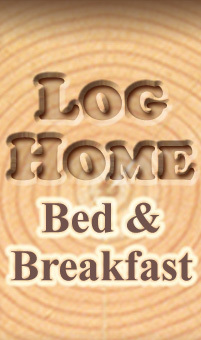 - what a beautiful log home you have ... our stay was absolutely wonderful and we enjoyed every minute! Thank you for welcoming us into your home. Your house is amazing and your hospitality a pleasure! .... what a special place! Thanks for sharing your beautiful home with us ... the breakfast was more than delicious!